Tourist-Channel Slovakia - Spišská Stará Ves Tourist-Channel Slovakia: New homepage! The town of Spišká Stará Ves is situated in the middle of Zamagurie region, in the border area between Slovakia and Poland. Zamagurie region consists of 19 areas. The small mountain of Spišská Magura divides Zamagurie region from the rest of Slovakia. Town part called Lysá nad Dunajcom belonged to Červený Kláštor in the 14th century and and became an individual village in the 19th century. It was inhabited by German settlers and was called Golembark. At the moment, it represents an individual part of Spišská Stará Ves. 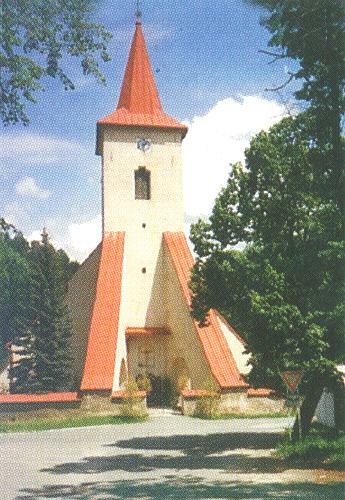 The major historical and religious building of Spišská Stará Ves is gothic Church of Nanebovzdania Panny Márie. It dates from 15th century and its major altar was built in 1765. The shape of this church is similar to the shape of fortress. The christening well made of red marble and decorated with the sculpture of St Juraj is very valuable part of the interior. In 1878, church was destroyed by fire and rebuilt into its present appearance. The major road across the town has always been the center of town life. The town has grown and is now the main center of Zamagurie region.